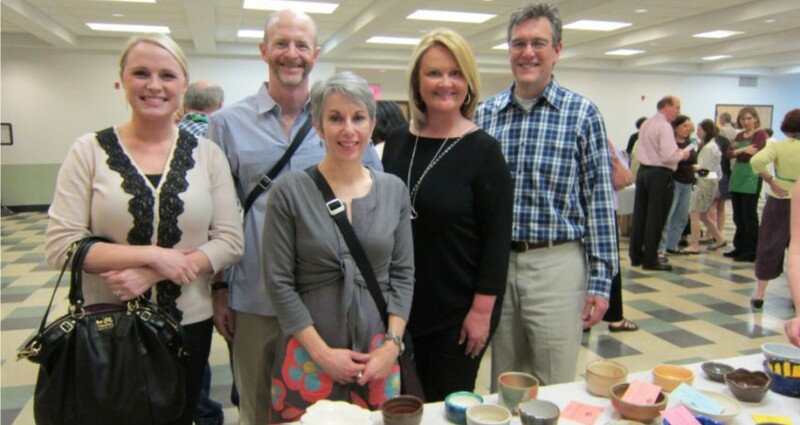 TSI volunteers support So Others Might Eat at Empty Bowls - Transformation Systems, Inc.
TSI employees gathered to support So Others Might Eat (SOME) by participating in Empty Bowl events in Washington DC and Arlington, VA. TSI volunteers in attendance selected a hand-crafted bowl and enjoyed a simple soup supper and program. TSI also purchased a bowl for every TSI employee not in attendance in an effort to further support the cause and to provide each employee with a bowl to serve as a reminder of those whose bowls are empty. All proceeds form the event support So Others Might Eat in their efforts to fight hunger and homelessness in Washington DC. So Others Might Eat is one of TSI’s charities of choice as part of TSI’s corporate social responsibility program, Feed to Lead. TSI CEO Marta Wilson started the Feed to Lead Program which commits multi-year funding earmarks and volunteer hours to fight hunger and promote literacy and STEM education. For more information about the program. About Transformation Systems, Inc.TSI is a fast growth management systems engineering company of PhDs, possibility thinkers and business authors who help forward thinking military and civilian leaders within the Defense community achieve their extremely challenging goals in ways that are most efficient, effective and responsive.The TSI team has been recognized repeatedly for helping set historic records as part of the Defense community’s counter-IED effort within the Joint MRAP Vehicle Program and by the Naval Sea Systems Command for facilitating successful technology transitions such as ERP. When leaders must improve enterprise performance without increasing their budgets, they call TSI for management systems engineering solutions that increase productivity and save money.